Recently I have received many questions about my hair and I have to thank you folks for all your kind words and comments. To answer some of your questions; I do not dye my hair and I think this is mainly the reason why it is so healthy and shiny. In the past I dyed it for some years and it was terrible. Frizzy, dry and burnt!!! Since I stopped dying it and kept my natural copper-brown colour my whole world changed. It is not frizzy or difficult to manage and to be honest I don’t have to blow dry it anymore. I let it dry naturally in the air and get that shiny look and soft sense. Also I dont use conditioners or hair masks since I find that they make my hair oily very quickly. 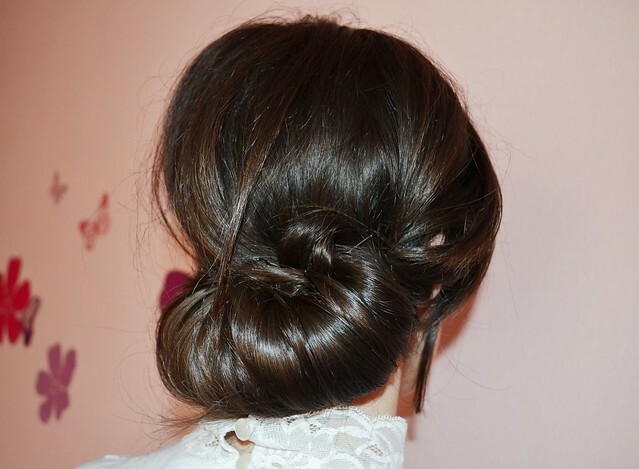 Please bare in mind that I am not an expert and I dont know if my advice applies for everyone, but since you asked me that is my hair care routine. 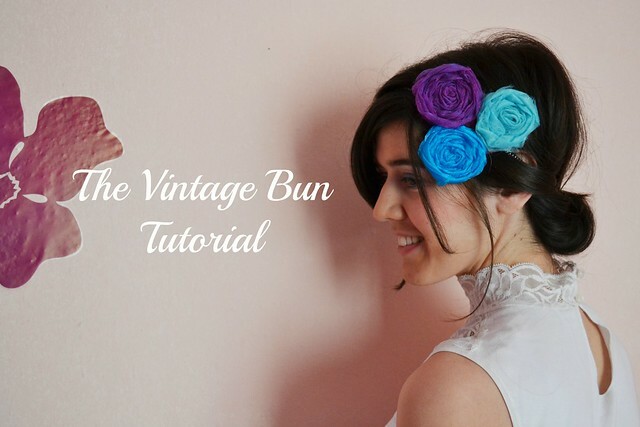 Enough with the talk though; lets do something funny like this vintage hair bun tutorial! It’s very easy to do ladies, so give it a go! 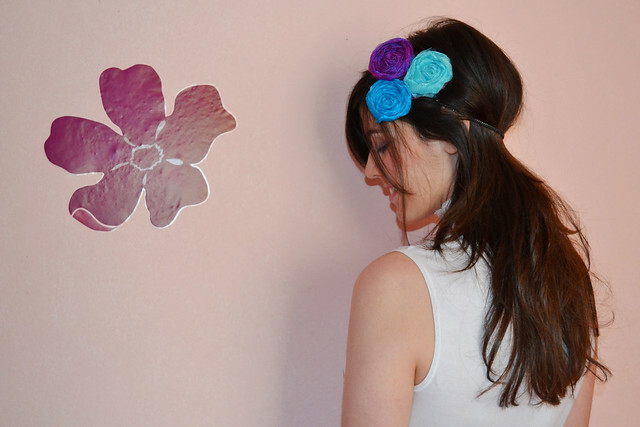 Step 1: Choose your favourite headband. I got mine Natbeesfashion shop. 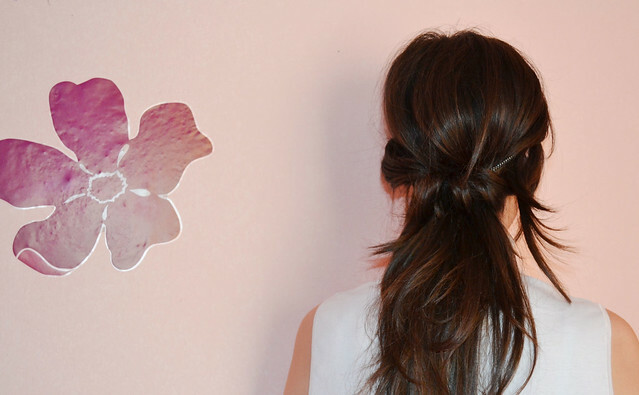 Wrap the headband around your head and leave some hair sections around your face, that way it looks more natural. 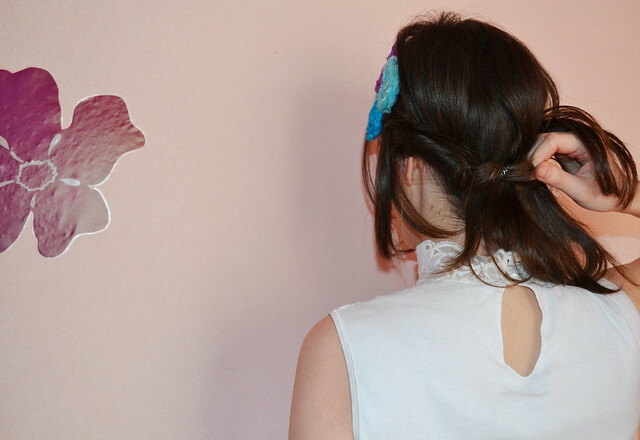 Step 2: Get a hair section and wrap it around the elastic band not too tight, not too loose. Step 3: Keep wrapping around and around the headband as many hair sections as you can from the one side and then start doing it from the other side as well. Step 4: When you have all your hair sections wrapped around the elastic band then secure them with bob pins. 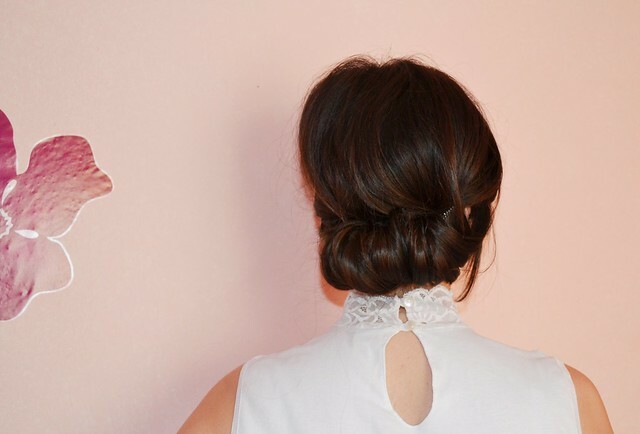 Step 5: Your gorgeous vintage hair bun is ready. Easy peasy!